Improving forest growth and management is a cornerstone of our operations. We develop existing products to meet customer requirements for product quality and service. We also develop new products; bio-based alternatives to fossil-based products. Operations are pursued in close dialogue with existing and potential customers, universities, colleges and institutes for higher learning as well as existing and future suppliers. An increasingly important aspect in the success of our projects involves addressing each phase of the value chain, from raw material via different production and conversion phases to end customer. Collaboration at multiple levels is necessary to find solutions for future products and manufacturing processes. Forest growth, cultivation reliability and quality are extremely important and it is here we focus our research and development. 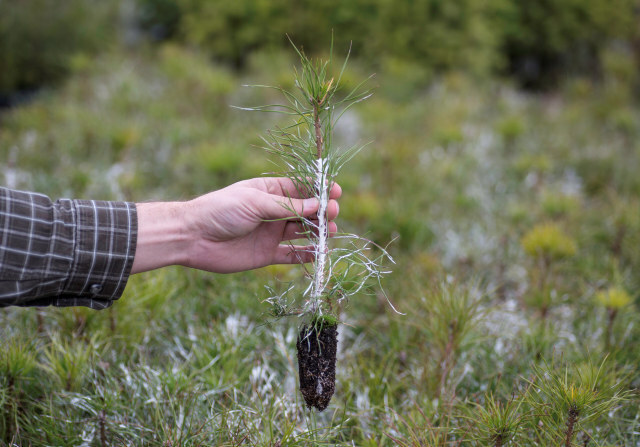 This is combined with developing a method that is less invasive in the forest to protect environmentally sensitive areas, forest water and trees during thinning. It is important to expand our services and Södra strives to be in the vanguard in terms of digital technology, modern profile and attractive tools for our members and personnel. Non-invasive means fewer tracks in the ground, that forest water is not contaminated and that environmentally sensitive areas are protected. Non-invasive also means that trees are not damaged during thinning, for example. Plant breeding is an important means of gradually increasing forest production. Södra addresses this primarily through its participation in the Forestry Research Institute of Sweden. In order to leverage the growth from cultivated saplings, the saplings must survive and not be driven out by other species. Therefore, high priority is assigned to forest regeneration research into areas such as land preparation, reduced pine weevil damage and wildlife damage. Cleaning methods are also paramount in cultivating the stands of the future. Södra has been successful with its soil protection guarantee, but new mechanical engineering for harvesting and thinning can further enhance non-invasiveness. A number of concepts are now being tested to both speed up log hauling while simultaneously reducing the ground compaction. For a number of years, Södra has promoted the development of a new, non-invasive land preparation method. Extensive tests are scheduled for the year ahead. Mechanised tree planting is another line of development that Södra supports. Development of the mechanical Cambiguard has been a success story for Södra saplings and has eliminated the need for mechanical pesticide treatment. Today, a considerable part of Södra’s saplings are fitted with Cambiguard. Efforts to optimise protection for all types of saplings are ongoing. The development of Green Forest Management Plans and better methods for planning logging activities (harvesting and transport of wood in the forest) are important aspects. Current projects include better utilisation of remote analysis data, such as laser scanning technology. Preparing water maps and their relevance to planning logging activities will be critical tools for non-invasiveness and productivity. Data collected with harvesters is valuable for forestry planning. Every second, vast quantities of data is gathered that must be processed to be meaningful. This is part of the forest’s Big Data, which offers completely new opportunities when paired with new IT. Drone technology is shaping new technology that will probably prove significant in forestry. Södra has been in the vanguard of launching apps – the forest owner app and the field app – that enable members, inspectors and others to track their forest holdings and even order services. Södra wants to remain at the forefront in terms of digital technology, a modern profile and attractive tools for our members and personnel, and is driving projects to develop digital services that focus on mobile technology – mobile first. Wood processing, product development, design and logistics are key aspects of the sawn timber development project conducted in partnership with Linnaeus University, the research foundation Centre for Timber Construction and Housing (CBBT) and SP Technical Research Institute of Sweden. To achieve new, improved products, new technologies and processes must be introduced. Södra participates in the CBBT programme. One overall objective is to emphasise timber as a building material, timber in combination with other materials and as building systems. The construction of high-rise buildings in wood is one such example. We address the entire process; from plank, via interior wood products such as flooring, panelling and mouldings, to finished homes built by Södra Trivselhus with new systems for construction. Sustainability is a common denominator in all projects. In the paper area, projects to optimise and further develop products and processes to produce higher quality and create more resource-efficient factories are ongoing. A key part of product development takes place in close collaboration with customers through technical collaboration, research and development. Focus is on implementing new or improved products or process optimisation of customer processes. Södra has installed on-line equipment that uses high frequency to measure the fibre properties of the produced pulp. Data is converted to various pulp grade parameters via proprietary models. This gives customers direct access to quality data and pulp mills have a tool for better process control and steering. Process development focuses on more resource-efficient processes and controls. This has led to and leads to higher capacity, better energy utilisation and savings in chemicals. Södra participates in industry-wide development concerning forest raw material, cellulosic technology and chemical recycling. Södra has successfully manufactured dissolving pulp since 2012. Dissolving pulp is used to make cellulose-based textile fibres, such as viscose. There is vast interest in textiles made of forest raw material instead of synthetic fibres and cotton, for instance. Textile companies and consumers are increasingly demanding traceability throughout the entire value chain; from production of the dissolving pulp, via the producer phase, to the finished textile product. This drives development and demand forward, placing new prerequisites on the dissolving pulp. Product and process development to further refine the product is carried out in close collaboration with customers. AvanCell is one of Södra’s Research Foundation’s 2013–2016 initiatives that focuses on gaining a fundamental understanding of textile fibres in terms of raw material, dissolution and spinning of fibre. The potential to produce chemicals from forest raw material is vast. However, access to cheap oil has made it more profitable to use fossil raw materials in the production of chemicals. In a longer perspective, the oil era can be viewed as a window between two bioeconomy periods – the past and the future. Chemicals can be produced both from by-products and waste from forest and wood management, and from released components from our industrial processes. A bio-oil can be produced using wood or lignin raw materials that can be used in a refinery for further conversion to fuel, chemicals or other new material. Forests have a major potential to contribute to future energy supplies through the production of new energy carriers. 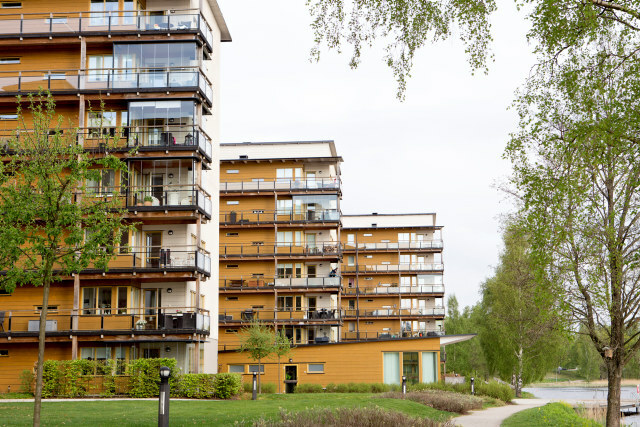 Today, energy and fuel account for a substantial share of Södra’s operations, with products including district heating, electricity, pellets and bark. A key part of efforts to achieve the national and international targets for reduced greenhouse gas emissions from the transport sector is the production of liquid biofuels. By focusing on the production of biomethanol at the pulp mill at Mönsterås, combined with joint ownership of SunPine and Silva, Södra is investing in the continued development of increasingly refined forms of energy with a wider range of applications. Södra will build a biomethanol production plant at the pulp mill at Mönsterås. The plant is scheduled for completion by spring 2019. Biomethanol can be used as a stand-alone fuel, as raw material for the production of RME (biodiesel) or as an additive in petrol. It can also be used as a green chemical. Södra is a joint owner, and supplies tall oil to SunPine’s facility in Piteå, where the oil is refined into green diesel and petrol, and then blended with petroleum-based diesel and petrol. In addition to crude tall diesel, rosin, turpentine and bio-oil are also distilled at the facility. Rosin is used for paint and adhesives; turpentine for chewing gum, perfume, paint and adhesives, and the bio-oil is sent back to Södra’s facilities to power the pulp mills. Silva Green Fuel is owned jointly by Södra and Statkraft, and the company’s main task is to identify a cost-efficient technology for the profitable, large-scale production of tomorrow’s liquid biofuels using forest biomass. In December 2017, an important decision was made to invest in a demo facility at Tofte in Norway. The demo facility will be used to develop both the process and the technology for producing the new biofuel. In the next stage, the plan is to establish a full-scale facility, with liquid biofuel production for various types of transport. The demo facility is scheduled to begin operation in 2019. Our world is constantly changing. There is no way of knowing how. What we do know is that we must keep pace with the changes. Occasionally, we may need to drive changes. Toward this end, Södra invests considerable resources in developing products in new areas. There are a number of extremely interesting opportunities for using wood raw material in new ways. Our focus is on manufacturing new bio-based alternatives for fossil-based products. Pulp-fibre composites, nanocellulose, carbon fibres and new bio refineries are just a few new alternatives. DuraPulp is a completely bio-based and biodegradable material that has many application areas. The material is stable, water resistant and malleable. Demonstration samples can be made in Södra’s pilot facility for wet-formed products. Södra participates in the EU’s Greenlight Project for processing lignin into carbon fibre. The project represents the entire value chain – from Södra as supplier of lignin to the automotive industry as end user.